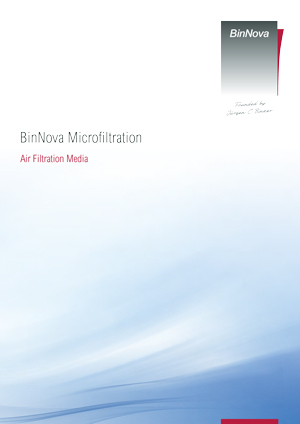 Air Filter Media manufactured by BinNova Microfiltration GmbH in our plant in Rudolstadt/Thuringia are made for HVAC, clean room air filtration as well for gas turbine applications and engine protection. 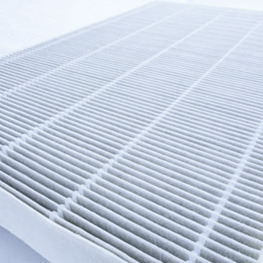 It is our competence to provide high-performance Air Filter Media you can trust. 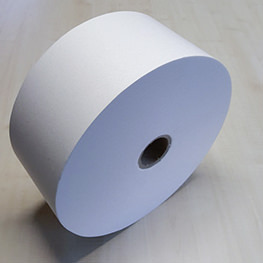 We market a variety of air filter media grades ranging from M6 to H14 according to EN779 and DIN ISO 1822. We also provide custom-designed filter media made of either mglass microfibers, glass-synthetic fiber mixtures and synthetic fibers. With our state-of-the-art manufacturing technology, we are able to produce Air Filtration Media consisting of two different fiber mixtures upstream and downstream (Dual Phase Air Media) to provide long life at high filtration efficiencies. 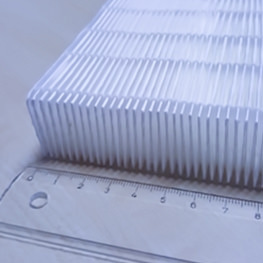 With our Dual Phase Air Filter Media manufacturing technology, we are able to boost filter performance such as dust holding capacity or air permeability. By equipping the felt side (pre-filter) with pure synthetic fibers, BinNova Dual Phase Air Filter Media has a protection layer without lamination with a synthetic scrim. We may have the synthetic fibers in the pre-filter side and then the material is designed for best dust holding capacity and long life. We may have the synthetic fibers in the main filter side and then the synthetic fiber layer has the function to trap loose glass fibers and prevent them from moving downstream. (ToughAIR®). Synthetic fibers incorporated into the filter material (SmoothAIR®) make it more flexible and elastic. This is a key component for fast pleating and a long and mechanically stable life. We also provide media with a lower base weight than market standard. It gives more m² per kg. These materials are thinner so that more pleats can be incorporated into a filter element. It helps to produce more efficient filter elements. In order to develop exactly the air filter media which fits best to our customer’s application, we care about media characterization. With our modern laboratories and measurement devices we are able to test filter media according to DIN ISO 1822, ISO 779 and ISO 16890. The new standard ISO 16890 will replace the older EN 779 step by step. The evaluation of filter media will change significantly. Instead of only measuring the filtration efficiency at only one particle size (as in EN 779), ISO 16890 follows the recommendations of WHO (World Health Organization) for fine dust pollution. PM 1 (< 1 µm) – particles that are considered to enter the pulmonary alveoli and can pass into the bloodstream and thus increase tumor risk. In some cases this new evaluation of filter media can lead to a shift in filter classes and the usage of media as by now. To offer media that meets the requirements of the new ISO 16890, new developments or adjustments to existing grades are necessary. BinNova faced the challenge and adapted data sheets and filter media accordingly. 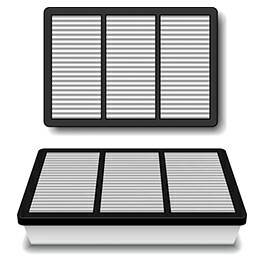 HEPA media are typically used at low face velocities in the range of 2 – 2,5 cm/s. 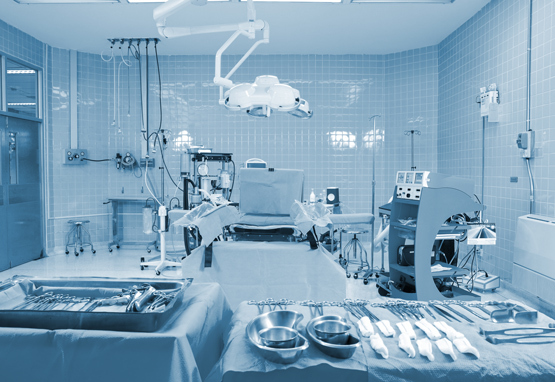 However, in some application higher flow rates are required due to lack of installation space. Besides higher pressure drop, a higher filtration velocity will also reduce the filter efficiency and thus lowers the filter class. The new BinNova data sheets clearly show the filter class at different (and also high) face velocities so that each customer can choose the right material according to the final application (real-life conditions).